Small change analle ,picture settings adjust cheythittu sariyavunille. Pictureinte Brigthnessinu enthenkilum issue undo. Yes...Athanu prob..Kandal arum kuzhappam undennu parayilla. EBut Kiran TV okke kando..Brightness onnum prob illa. But color settings engane mattiyalum ee basiv color tone change undayirikkum..
Colour accuracy vendavare notice cheyyu, ee problem kurachukoodi severe akuvanel ningal rekshapettu pinne company sevice cheythalle pattu . Njanum atha kathirikkunne.. but ethra kalam EE clarityil kanendi varum..
3d aanu vaangiyathu.. but vaangi kazhinja arinje 3d aayirunnu ennu... they are not maketing it as 3D and no glasses included. planning to buy a new one before the World cup... 4k... how is 55" ? 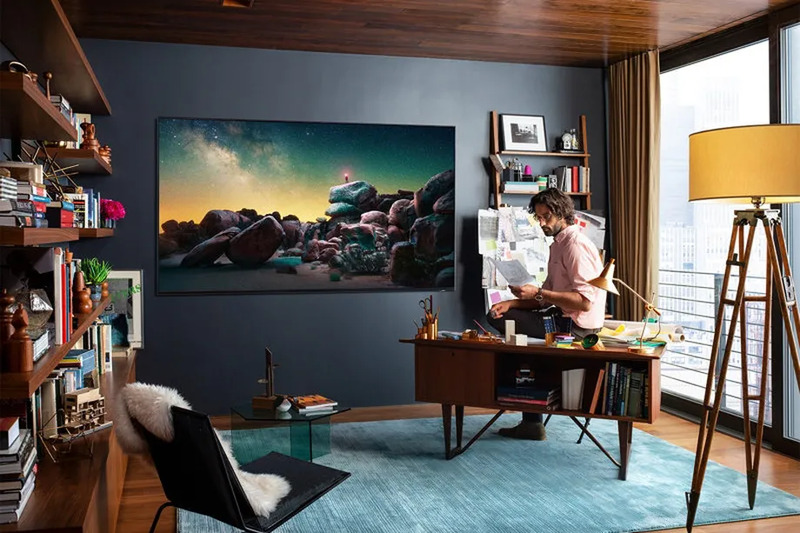 sd will depend on the upscaling acapability of the tv.. some are really good in that like sony..
Samsung announced its first QLED 8K TV back in August, and now the 85-inch Q900R smart TV is available for preorder for $15,000. There’s no word yet on whether the 65-inch, 75-inch, and 82-inch sizes will be available for preorder, but the 85-inch TV will be shipping on October 28th — just in time to set up an immersive haunted house and to give your wallet a good scare. Samsung claims that the TV’s “8K AI Upscaling” feature uses its Quantum Processor 8K to remaster “today’s content into stunning 8K for improved details and sharpened definition.” “Today’s content” looks just fine to me so far in 4K — and there’s basically no 8K content to watch yet — so this kind of feels like a feature no one knows if they need yet. Like all of Samsung’s QLED TVs, the Q900R also has Ambient Mode, which lets you use your phone to capture a photo of the space behind your TV and set it as your display to create a transparent look. It can also display your photos or act as a visual hub for your SmartThings-connected gadgets to show helpful information. Alternatively, Samsung’s QLED lineup of 4K TVs are priced at a much lower $1,600 to $5,300 range, and they have most of the same features. But if you still want the 8K TV, the website is helpfully offering a payment plan of $415.70 a month for 36 months, which is like buying a new iPhone every two months for a year and a half. A very sound decision!